Let me start off by saying that when the opportunity came up for me to try the new Sodastream, I literally jumped at the chance. And i am so glad that i did. I cannot tell you you how awesome the machine is but i am sure going to try. The package arrived by UPS. Just look at what came with it. 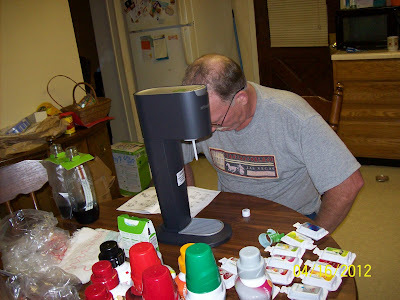 There was the machine(which was super easy to put together), 2 bottles, the carbonator, 6 fill size flavors, 12 sample flavors and 3 water flavors and the instructions. 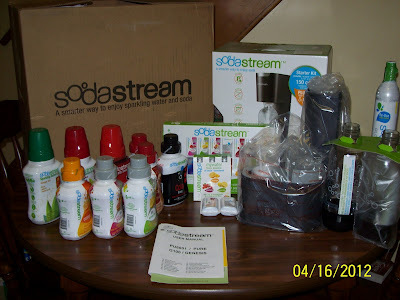 I went to the Sodastream web site and decided to read up on the product first and what i found was that believe it or not but Sodastream is saving the world from the plastic bottles ending up in the landfills, they participate in world water, they date back to 1903 where they introduced innovative solutions to the world beverage market and your satisfaction is guaranteed. Just to mane a few things but you can read more at Sodastream USA . I just could not wait to try this and my hubby(eric) was more than willing to help. After the machine is put together, we then started. The directions say to fill a bottle with water up to the fill here line. Then screw the bottle into the machine and press the button on top of the machine 3 times until you hear a sound then you are done carbonating it. Yes, Eric is very intense in making this. I think he was just thirsty. 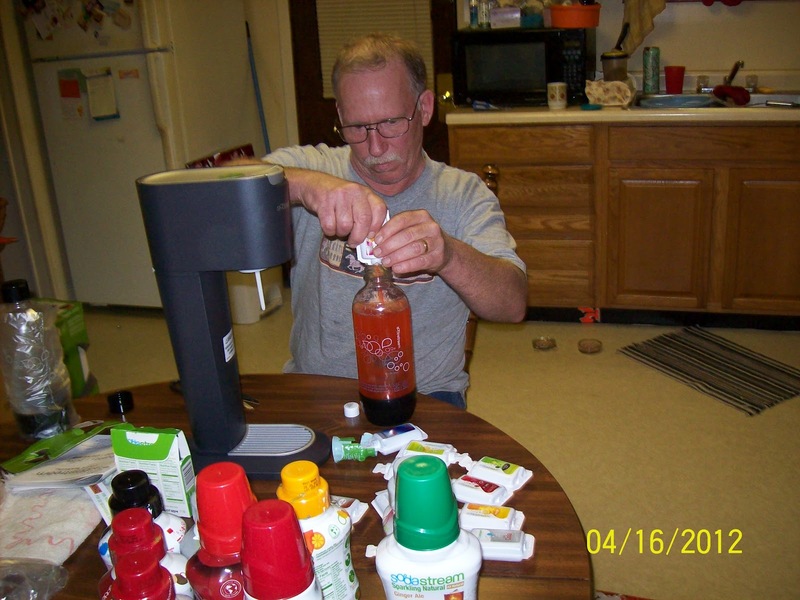 Next after you have the bottle carbonated, pick your flavor and follow the directions on how much to add and Do this slowly. I did it fast(LOL), and it ended up all over me! One thing i learned was to follow the directions. Eric decided to do the orange. 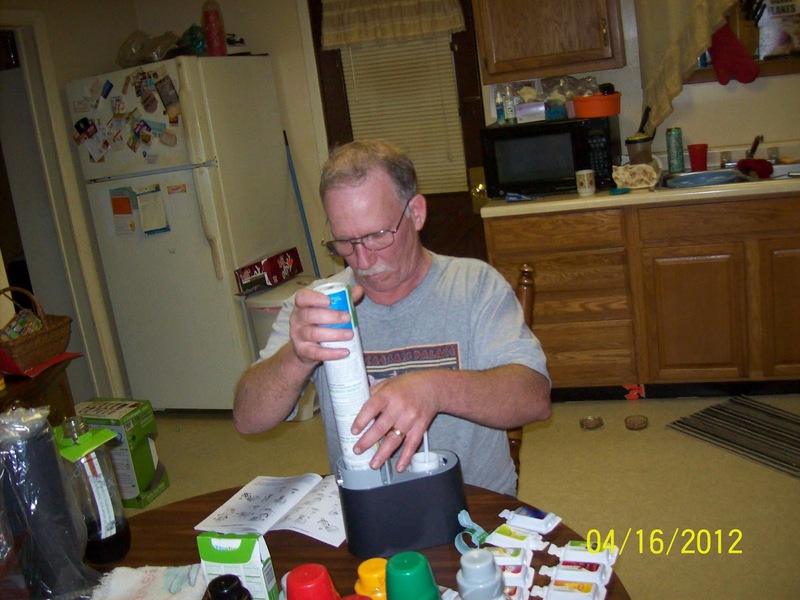 This product gets a thumbs up from my whole family! We just love it. Disclosure- The product was given to me for the purpose of doing a review. Whether favorable or not favorable, the opinions expressed are solely my own. I was not paid to write this review. 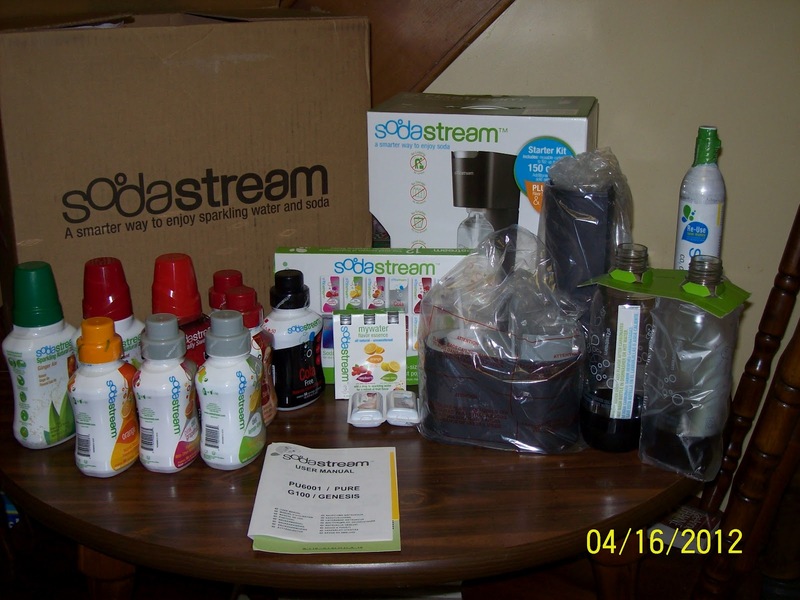 Sodastream.com was kind enough to allow me to have a giveaway for 1 Sodastream Fountain Jet Starter Kit. You will get your choice of red white or black/silver. Some great bloggers and I have gotten together to offer this wonderful giveaway. Open to U.S Residents only! The giveaway runs from May 20 @ 12:01 A.M. -June 10th @ 12:01 A.M.
Also PearlMountain has kindly allowed us to have a giveaway of their Image Converter Software with licenses to 20 winners!!! So please enter using the easy Rafflecopter below. Good luck to you also and thank you for entering.